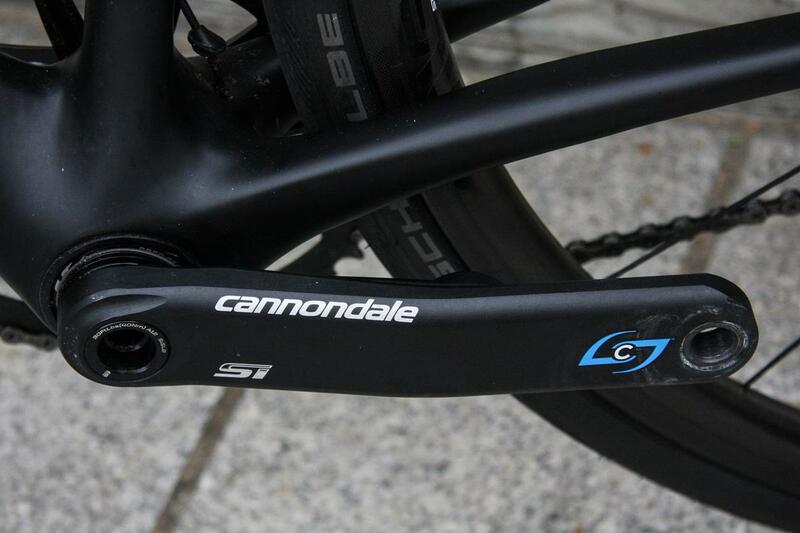 I have always liked Cannondale as a brand. When I was a teenager getting into MTB, Cannondale were a cool brand. They were always prepared to push the envelope in terms of design and engineering; never afraid to challenge the status quo. And that's carried into the road scene. The Saeco CAAD 7 was my dream bike 15 yrs ago. When Lance was winning the Tour and the Trek OCLV carbon bike was selling well I rode one and did not like it. Smooth, yes, but I did not find it that exciting a ride. 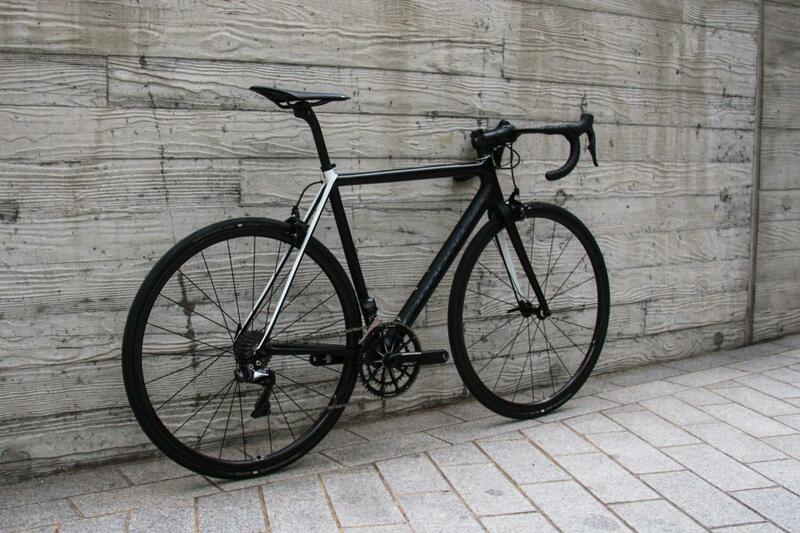 In comparison the CAAD 7 was aluminium, and thus struggled for sales on the shop floor against carbon. But it was a fantastic ride - sharp and responsive (though a tad harsh!). Cannondale also popularised the 30mm crank system - they went out on a limb for many years, before others copied and its now the 'standard'. Cannondale eventually conceded that carbon was the future and did a mixed aluminium and carbon bike before going full carbon with the Supersix. A bike almost comic book oversized in terms of its tubing. But it was only when Cannondale launched the Evo that they perfected a road frame that was the holy grail of stiff, light and compliant. For the last five years the Evo has been up there with the very best race frames you can buy. It's certainly one of the lightest, at a staggering sub 700gms a frame. 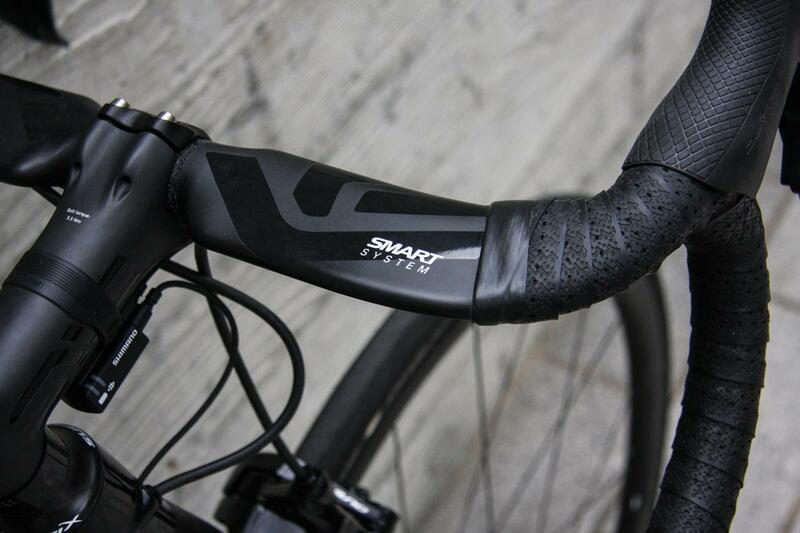 The latest generation could not get much lighter, so they have focused on ride quality and making it slightly more aero. The naming convention on Evo is confusing but basuically there is Evo (light), Evo Hi-Mod (very light) and finally Black Inc. The Black Inc previously suffered a near fatal flaw - in an obsession to lose weight they made previous versions non Di2 compatible - so you had to run a mechanical groupset. That massively limited demand. Fortunately its now Di2 compatible and this bike (at the princely sum of £8999) is equipped with latest Di2 and full Enve cockpit and wheels. If you break it down that's actually very good value. Find me a single frame that's anywhere near this quality at that price! 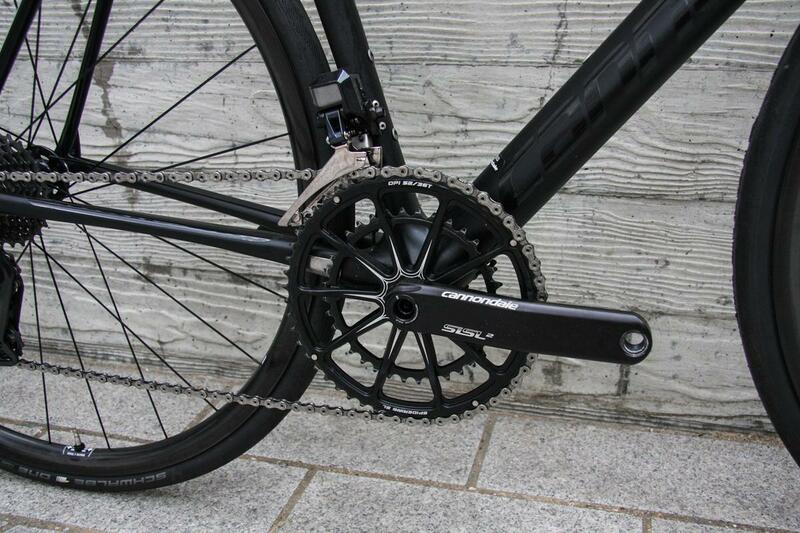 As mentioned before, Cannondale have over 15 years experience in oversized cranks; the theory being the stiffer the axle the lighter the crank. This latest version is the SiSL2. The Black Inc, in keeping with its name, used to be a super stealth all black bike. This year they have added some white elements to the rear triangle. It looks very smart. My wife, who despairs about the number of different bikes I leave in her kitchen, conceded that this one was "very nice". 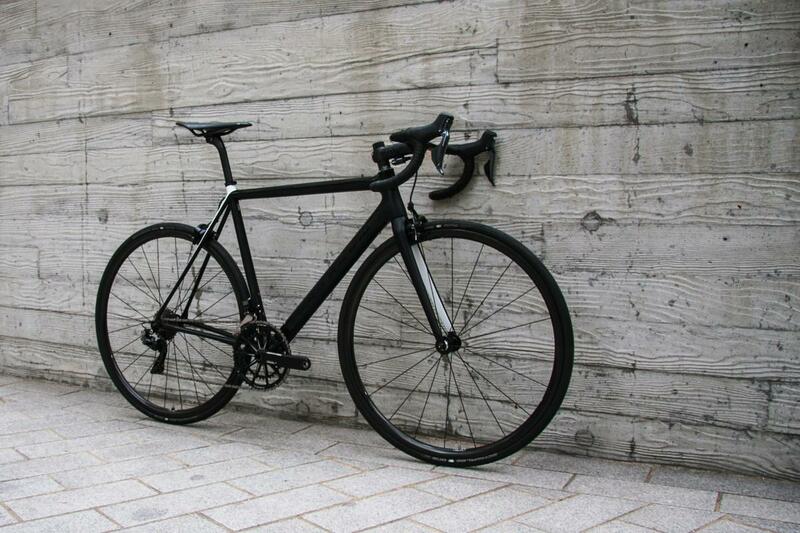 The Black Inc Supersix is the lightest bike I have personally ever ridden. Its genuinely astonishing how light it is. Not surprisingly, climbing is a joy. Super light frame, stiff BB and a stiff crank means you fly up hills. I set a lot of Strava PBs around Kent on this bike ! The bike comes with Enve 4.5s wheels (which are part of this push to make the bike more aero). I actually think 3.4s would suit its character better. I tried a number of wheels; mainly enve 2.2 climbing wheels and they were perfect. The post and stem is Enve and is about as good as it gets. Interestingly the post is 25.4, which is rare in this world of 31.6mm oversized. It's meant to give the bike a bit more compliance, but I have to say it looks slightly odd against the huge carbon main triangle of the frame. The bars are Enve, but instead of the round ones (which we adore) these are the SES Aero ones. I am personally not a fan of these; I like round tops on my bars so I can grab them when climbing. These have super wide, flat tops - presumably for added aero. But they dramatically limit your hand positions. Its probably the only component choice on the entire bike I have an issue with. I was saying to a colleague at work there has never been a more exciting time as a consumer to buy a bike. The sheer quality of the offerings out there is remarkable. At this level its very hard to say one 'super bike' is defientely better than another. Pick a bike that fits you like a glove and that suits your riding style. For me, the Black Inc is just about perfect. I love the fact that it has a level top tube in an era so many bikes are sloping. On a bigger bike, with a taller saddle height, I think a level top tube just looks "right". But its biggest advantage is its weight, or lack thereof. There is a reason the Evo family is so popular in European sportives; this bike was born to climb. If I had to pick one bike to set a climbing PB it would very likely be this. 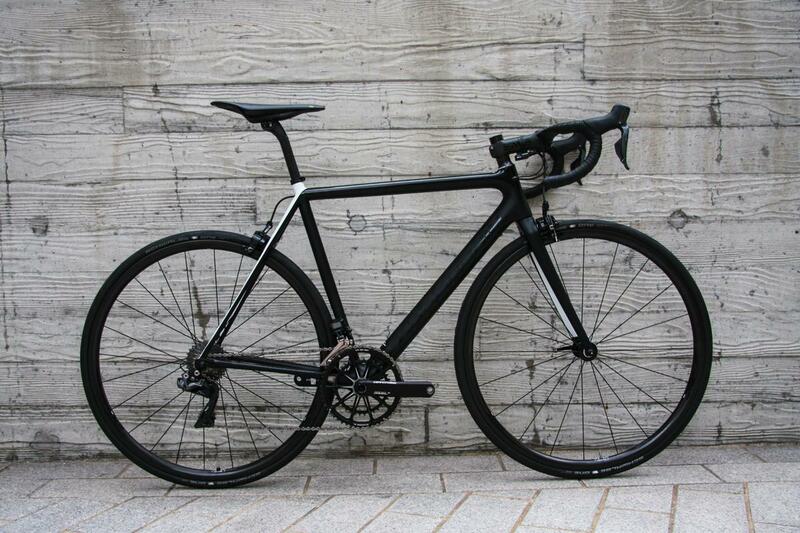 See more photos of the Black Inc Supersix on our Build Gallery.